What should I do to get rid of the unsightly spent blossoms on my annuals? The best way to deal with old and withered flowers is to deadhead the plants. Deadheading can be done at any time of year, by cutting or pinching dead buds. 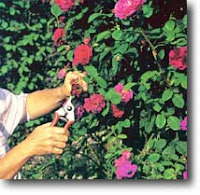 You can use any hand tool, pruning shears, or even scissors- just be sure to avoid new buds and blooms. Deadheading will freshen the appearance of your garden, as well as promote longer-lasting and more abundant blooms. Why won't my annual flowers bloom? A common reason why flowering plants refuse to bloom is an overdose of nitrogen. Many commercial fertilizers are extremely high in nitrogen. While nitrogen is an essential element for vigorous plant growth, too much nitrogen encourages leafy growth at the expense of blooms. Try supplementing your soil with a balanced organic fertilizer for blooming plants. You might also consider having your soil tested through your local county extension agency. This testing will provide you with valuable soil improvement suggestions. 1. Remove and destroy severely infected plants or plant parts to avoid spreading diseases to healthy plants. Do not compost infected material. 2. Space plants widely to allow good air circulation. 3. Allow soil to dry out between waterings to avoid stem and root rot. 4. Incorporate compost into the soil to introduce beneficial soil organisms and improve drainage. 5. Do not work among plants when they are wet to avoid the spread of water-borne diseases. 6. 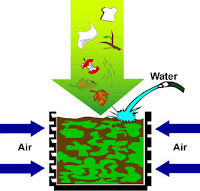 Mulch to prevent the splashing of fungi-infested mud onto plants. 7. Sterilize hands and tools after working around infected plants by washing well with soap or applying rubbing alcohol. 8. Remove and compost garden debris so diseases cannot overwinter in the garden. 9. Water early in the day. This will allow plants to dry by nightfall. Fungal diseases thrive in cool, damp conditions. 10.Control insect pests. Insects can carry disease from infected plants to healthy ones. 11. Maintain a good schedule of watering and fertilization. Plants that are healthy and stress-free are better able to resist pest and disease infestation. Is weeding really that important? Weeds compete with your plants for moisture and nutrients and they frequently win if they're not controlled. Weed early or late in the day -- avoid midday heat, which will quickly weaken your resolve. Weed often -- don't let the weeds get big and definitely do not let them set seed. After weeding, a 3-4" mulch of shredded pine bark or another light material will keep new weeds from sprouting. How can I safely control pests on my annuals? Insects carry diseases from infected to healthy plants, so it is very important to keep insect populations in check. You can prevent insects from reaching your tender seedlings by covering them with floating row covers. If infestation has already occurred, don't worry; there are several safe, organic measures of insect control. Small insects such as aphids, mealybugs, and white flies can be knocked off the seedlings using a strong spray of water. For more severe infestations, apply insecticidal soap according to label directions. Larger pests, such as beetles and caterpillars, can be controlled by handpicking and destroying the insects. 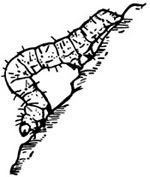 Applying Bt (Bacillus thuringiensis) and/or beneficial nematodes to the soil will also control many of these insects and their larvae without harming beneficial insects. You can purchase and release beneficial insects, such as ladybugs, parasitic wasps, and praying mantids or attract them to your garden by planting small-flowered nectar plants, such as alyssum and dill, near your garden. Attract pest-eating birds to your garden by placing bird houses, bird baths and feeders in your yard. Is there a safe, nontoxic way to control slugs and snails? These pests can be controlled with slug bait, plastic traps, copper barriers, or homemade beer traps. To make beer traps, simply sink paper cups, or small metal cans with the tops cut off, into the ground until tops are level with the soil surface. Fill about halfway full with beer. The slugs are attracted to the beer, fall in, and drown. Empty the traps and refill twice a week. Space the traps at about 3- to 10-foot intervals. For more information, visit our Organic Solutions Department online or contact Garden.com Customer Solutions at 1.888.314.2733.